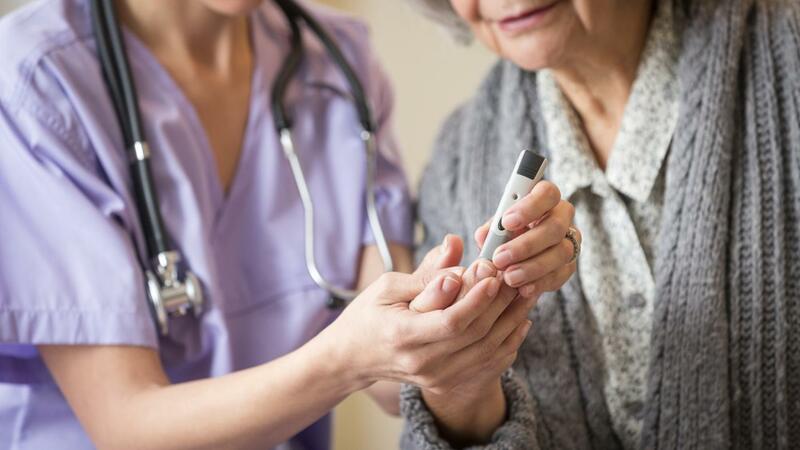 What Are Some Symptoms of Type 2 Diabetes? Symptoms of type 2 diabetes, formerly called adult-onset diabetes, include increased thirst, frequent urination, weight loss, fatigue, blurred vision and slow healing of wounds, says the Mayo Clinic. Since symptoms may develop gradually, people may have the disease for years and not be aware of it. Other signs to look for include patches of dark, velvet-like skin located in folds of the body, particularly under the armpits and on the neck, states the Mayo Clinic. This is most commonly a sign of insulin resistance found in people with type 2 diabetes. Although the disease can develop at any age, including childhood, it is most common in middle-aged and older adults who are obese, says the National Institute of Diabetes and Digestive and Kidney Diseases. Someone who is overweight and inactive should be on the lookout for symptoms. These may include nerve damage caused by excessive amounts of blood sugar, known as glucose, circulating throughout the body. The nerve damage can cause the telltale symptom of numbness or tingling in the feet or hands. Even though those with type 2 diabetes are frequently hungrier than normal, their body is unable to properly convert the food sugars to energy, so they may actually lose weight, despite eating more. Unable to gain useful energy from consumed food, the body instead burns alternative fuel sources stored in muscle and fat, resulting in the unexplained weight loss. What Are Some Signs and Symptoms of HIV in Men? What Are Some Diabetes Treatments?